Happy Washing Days are here again. 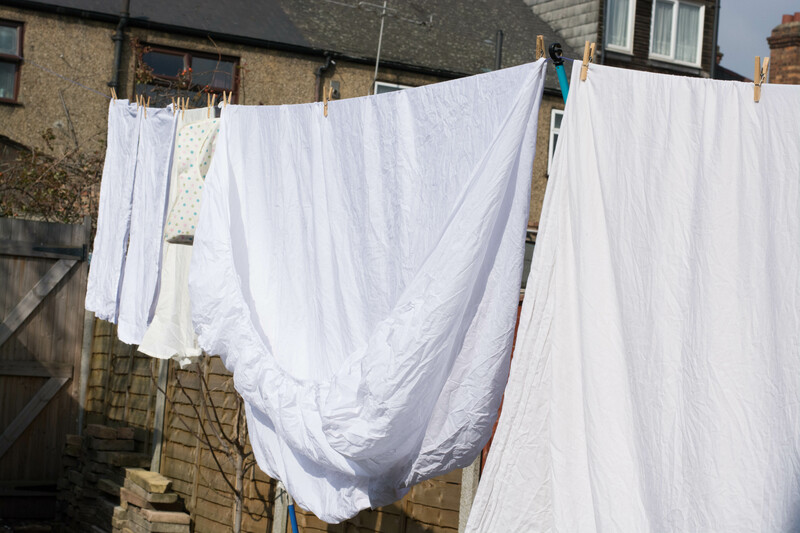 I love spring, I do, but apart from the first flush of green that is always just wonderful, I love the chance to put a line of washing out and get that smell of sunshine on my bed clothes. 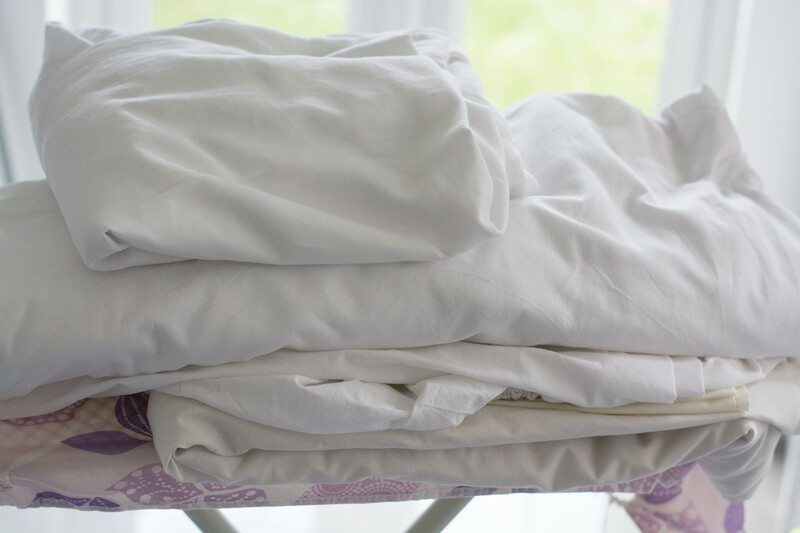 I don’t have a tumble dryer in this house so at times I have been draping bed linen over my clothes horse and other times hubby has taken our bedlinen back to Warwickshire to wash and tumble dry for me. So this Monday, I thought I’d chance it and was up and stripping our bed at just gone 7.00 a.m. and 2 1/2 hours later – I like extra rinses, it keeps the whiteness, trust me, hubby used to design commercial laundry machines, its the rinses, with extra water that keep your whites, white – I had this. And after a long day in the sunshine I was able to give everything a quick iron. And then they were ready to air for a day on the radiators. So happy to get all that done in one day. And do you want to see something slightly shocking, well it was for me, coming from smog free Warwickshire. 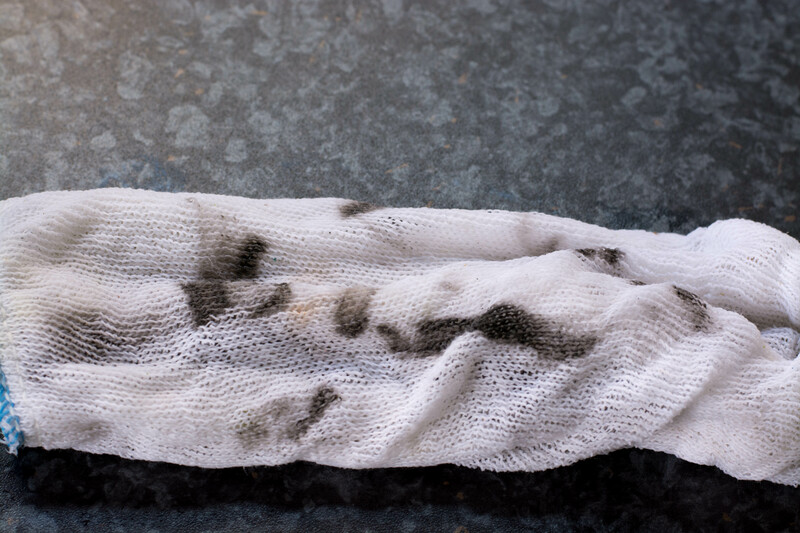 One winters worth of dirt, cleaned off the washing line before hanging the laundry out and it was a short winter at that. Rosemary, lemon and garlic chicken. It’s the first sign of spring for me, the moment when I put all of the laundry straight out on the line without contemplating either clothes horses or the dryer! High summer has arrived when one load of laundry has dried on the line before the next comes out of the machine!! I love that moment in high summer too, when one actively looks for washing to do, which in this house includes stripping sofas!